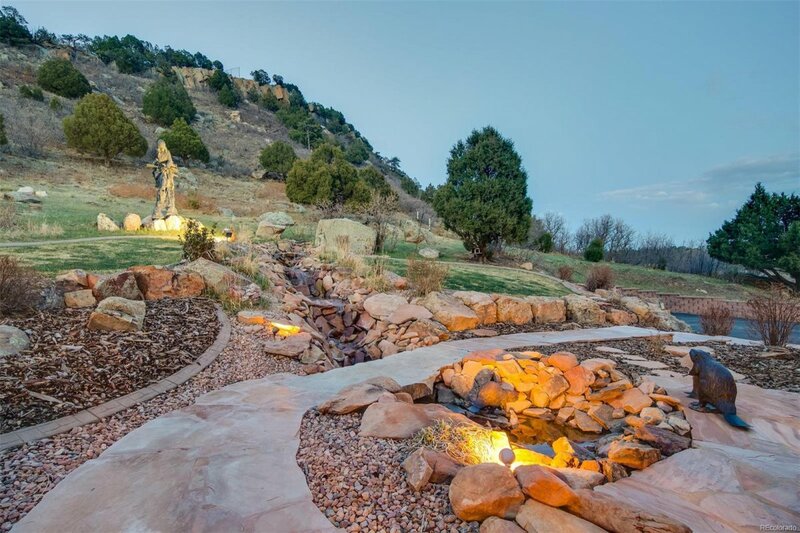 When Extraordinary isn't enough! 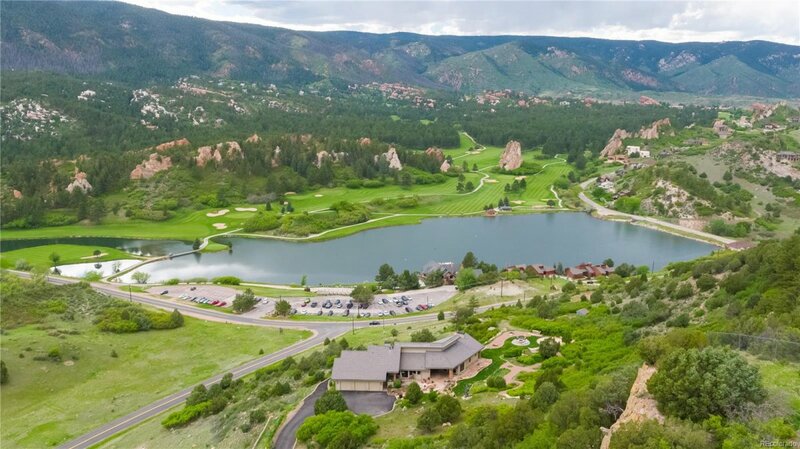 A bird's eye view from 10 acres, above the mythical Perry Park Country Club. 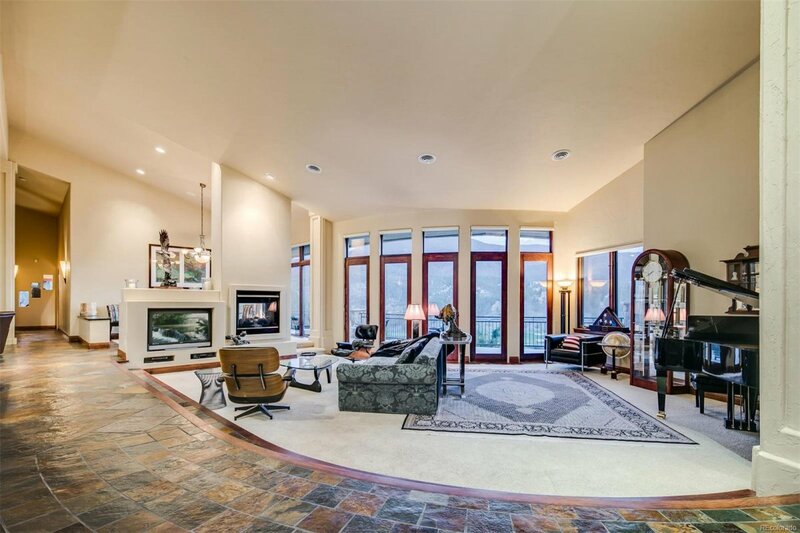 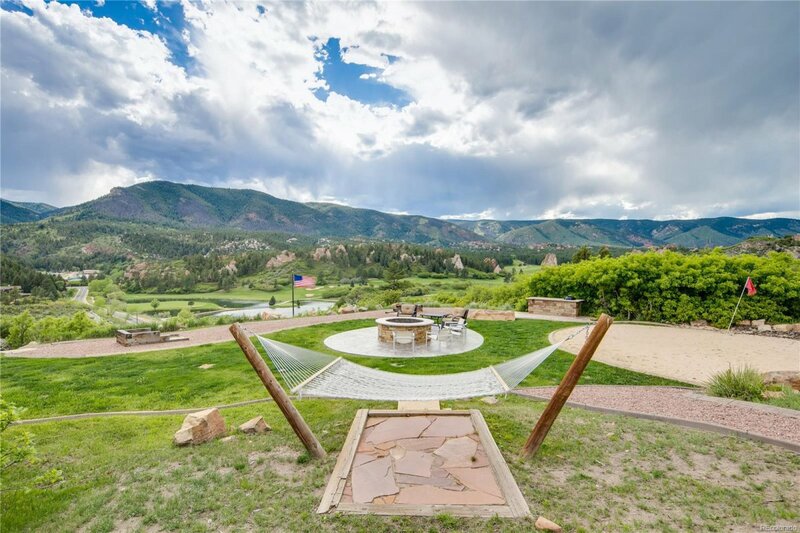 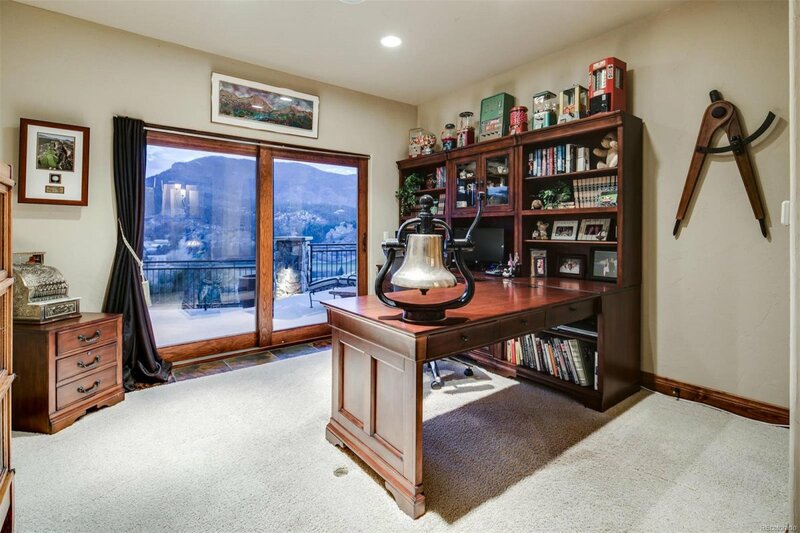 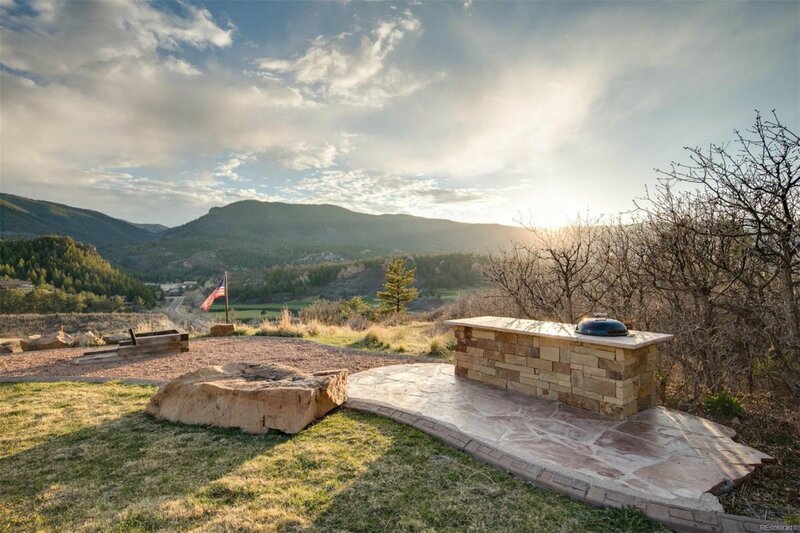 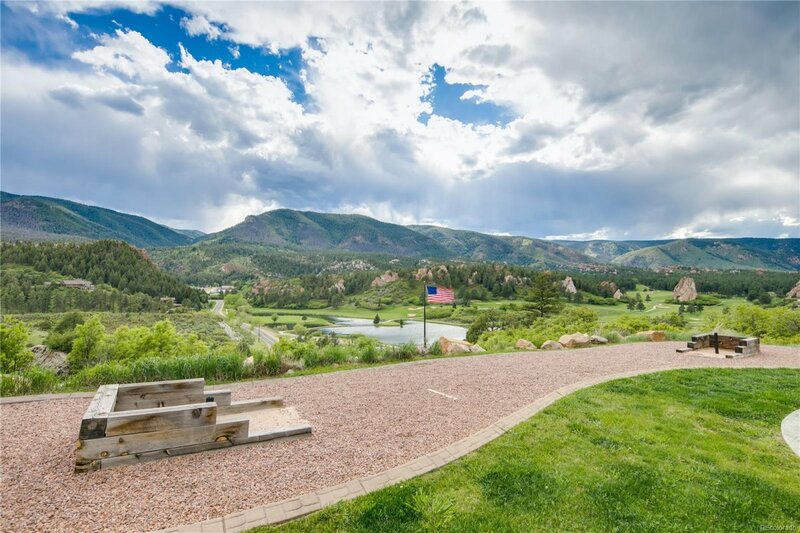 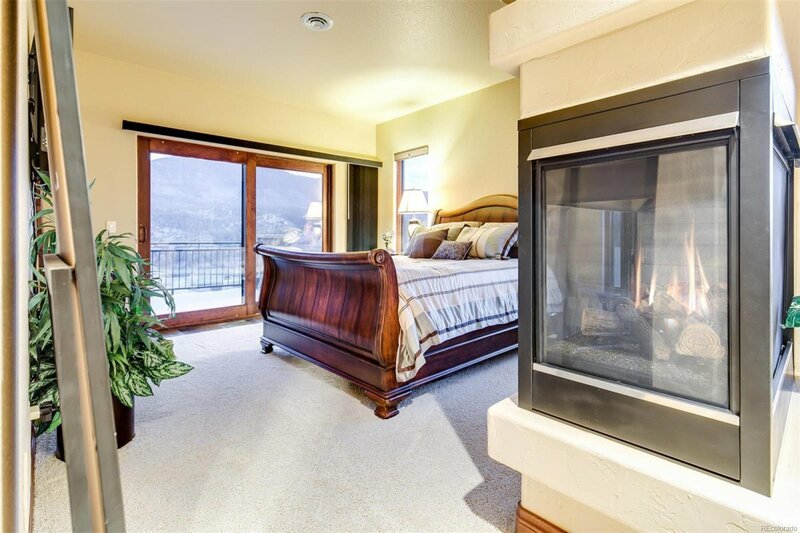 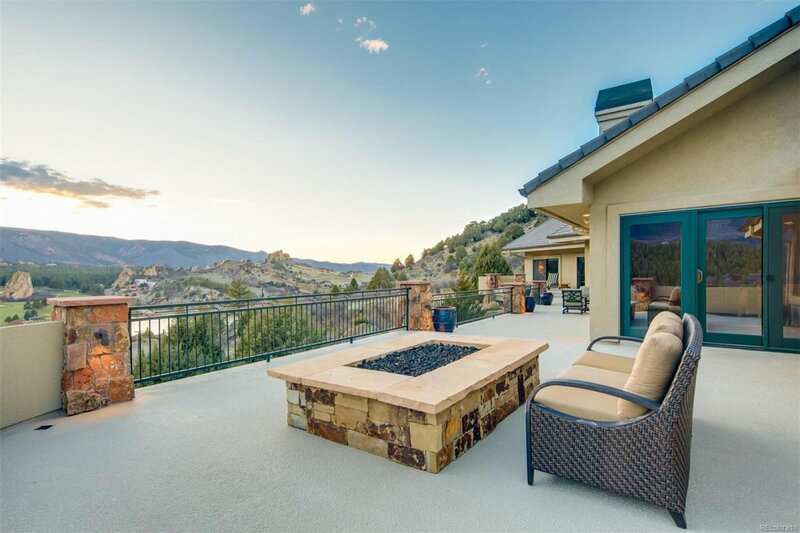 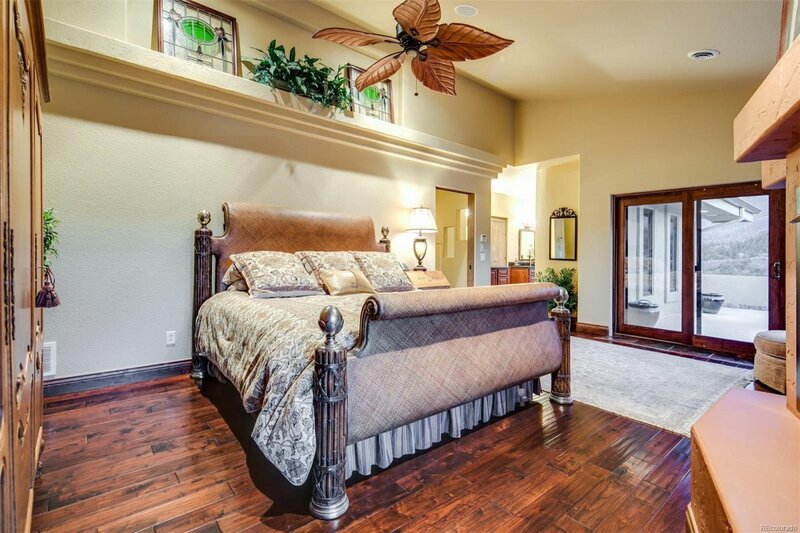 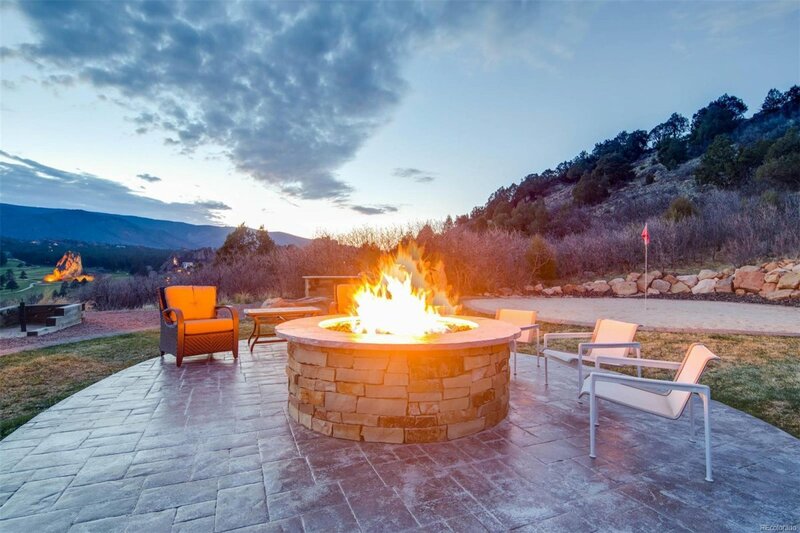 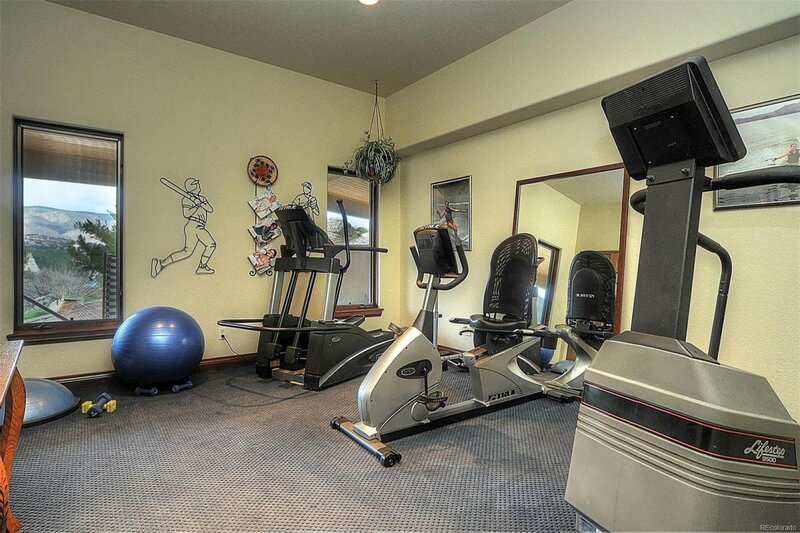 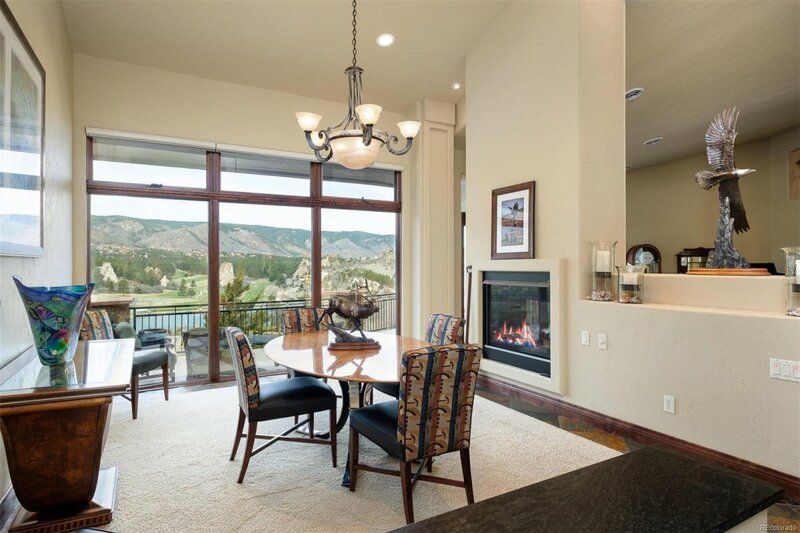 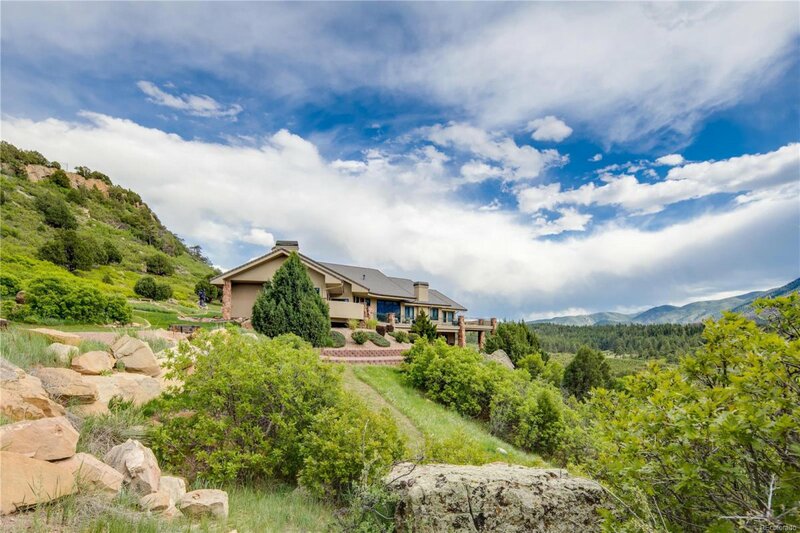 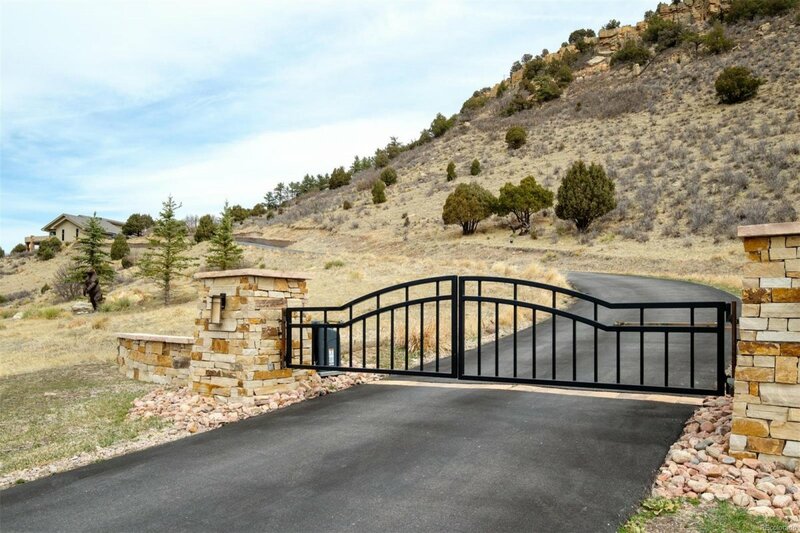 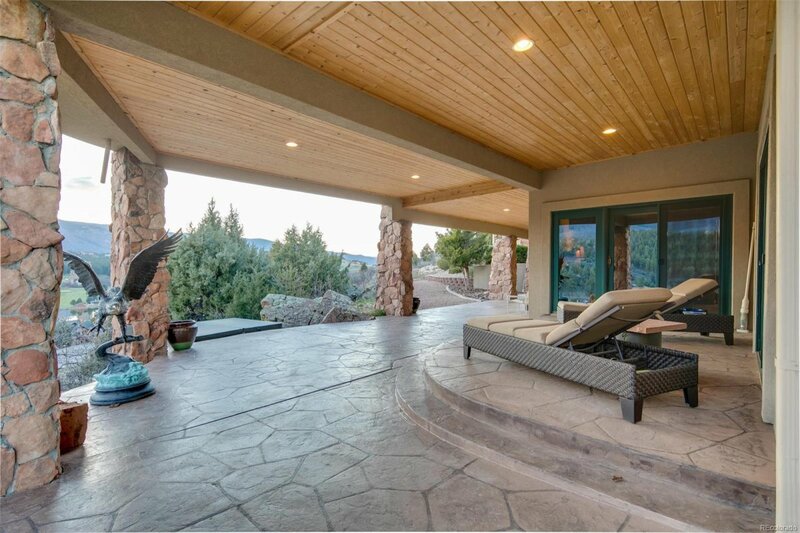 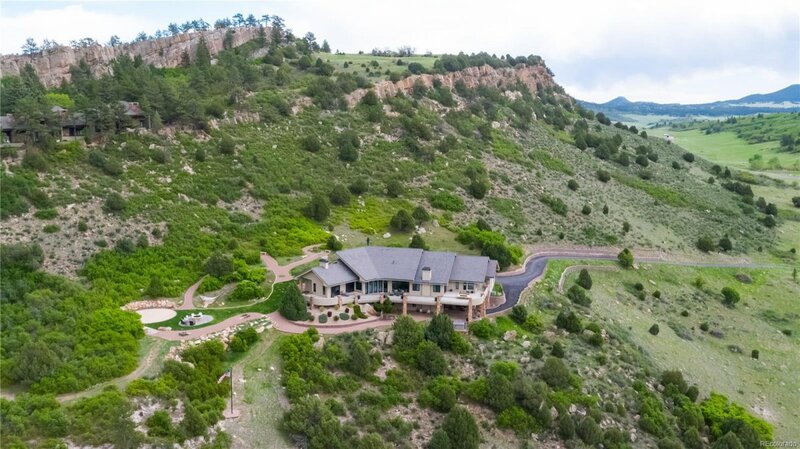 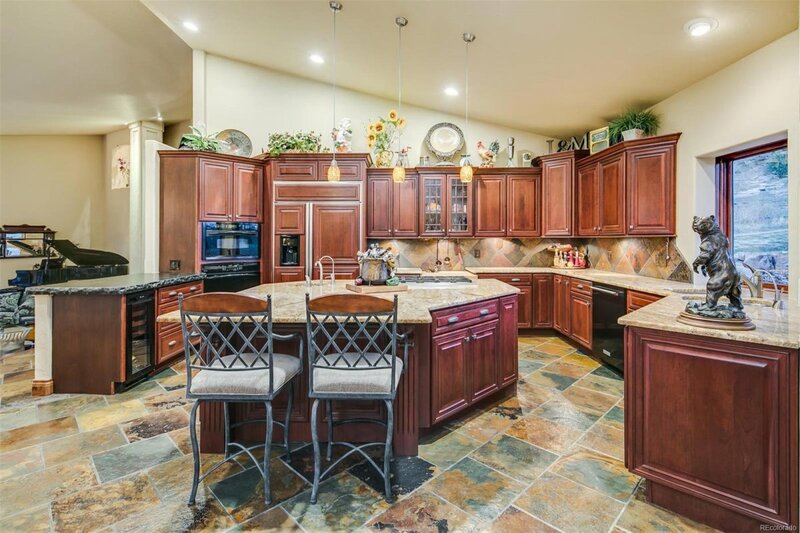 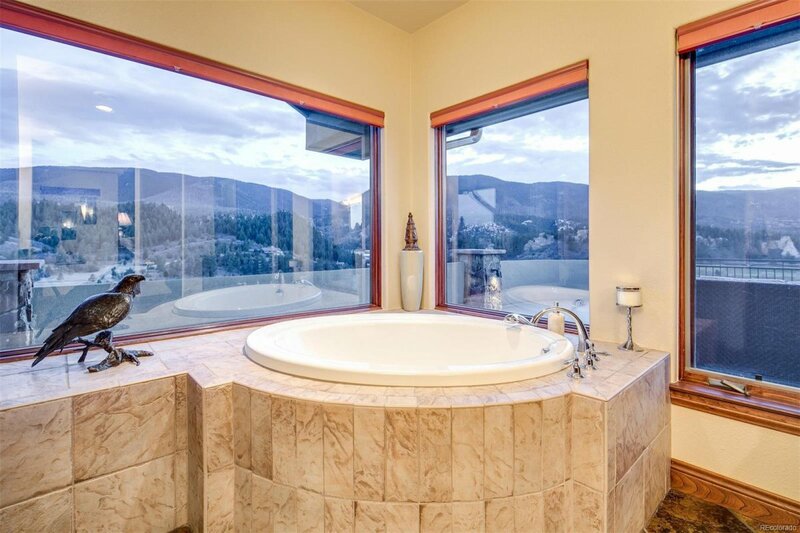 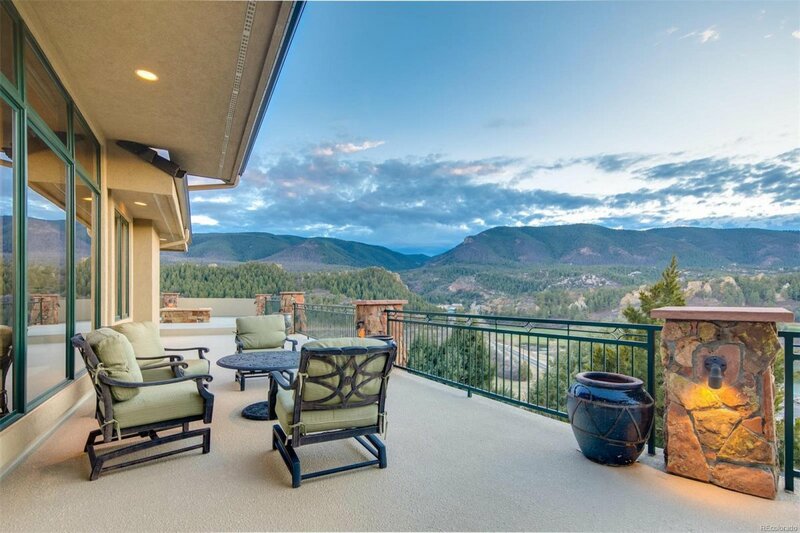 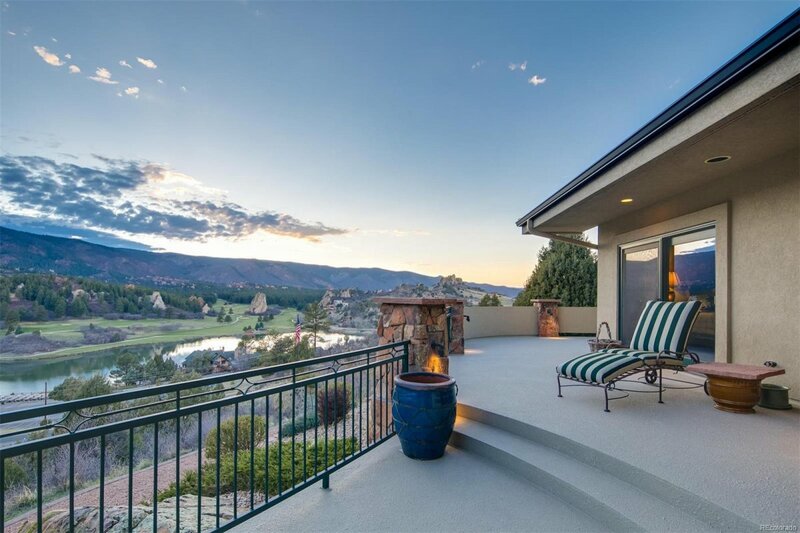 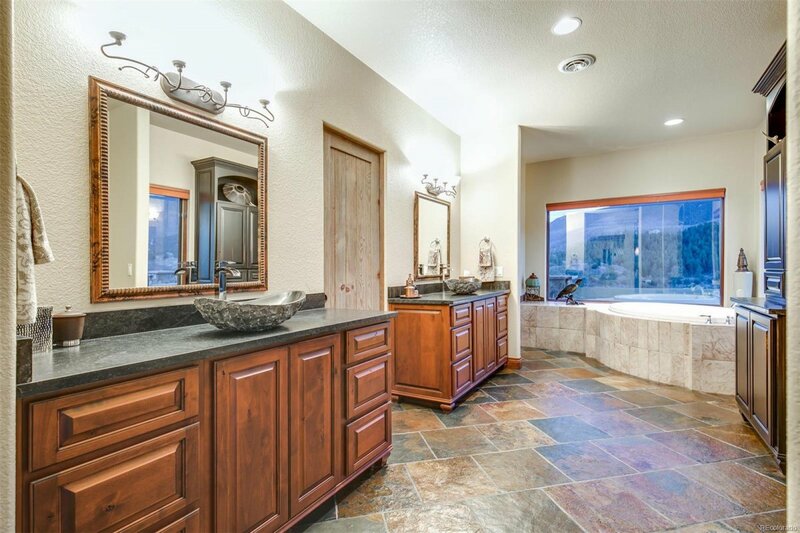 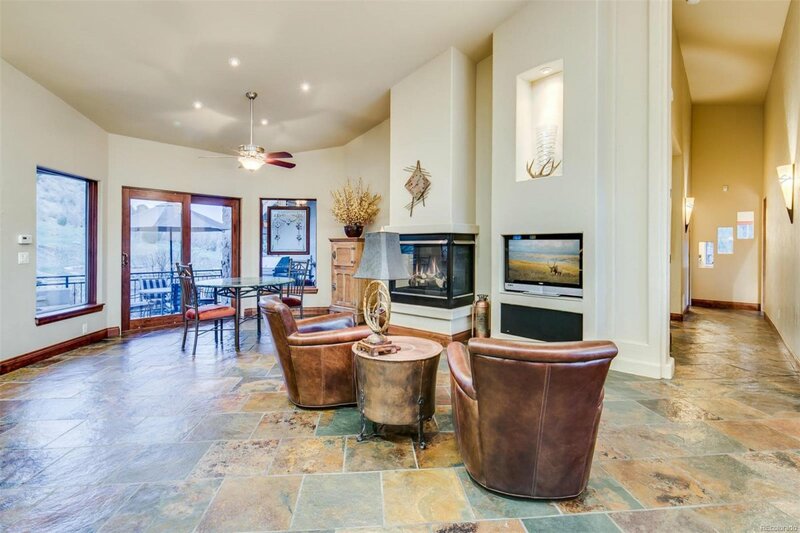 This is one of a kind, custom hillside estate, CO Mtn. 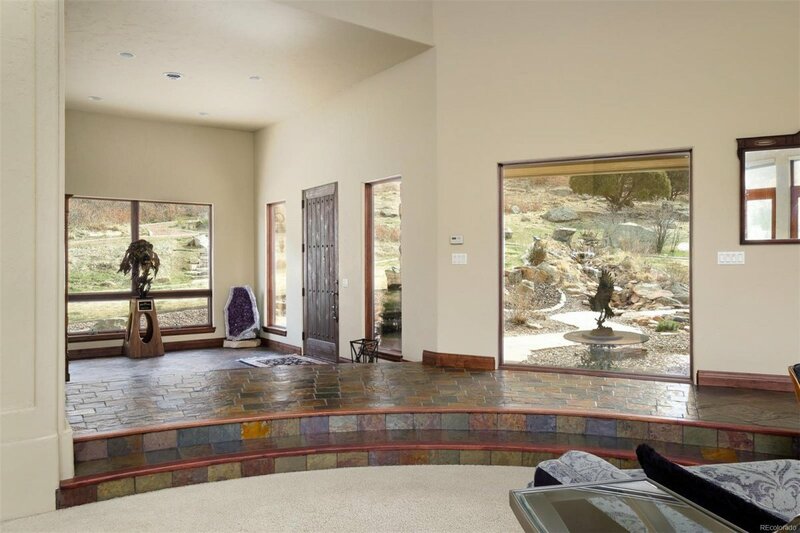 contemporary, walk-out ranch. 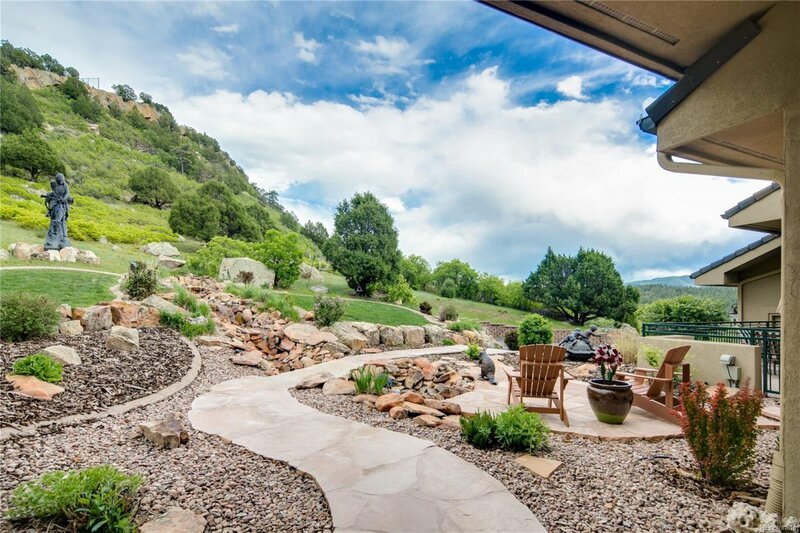 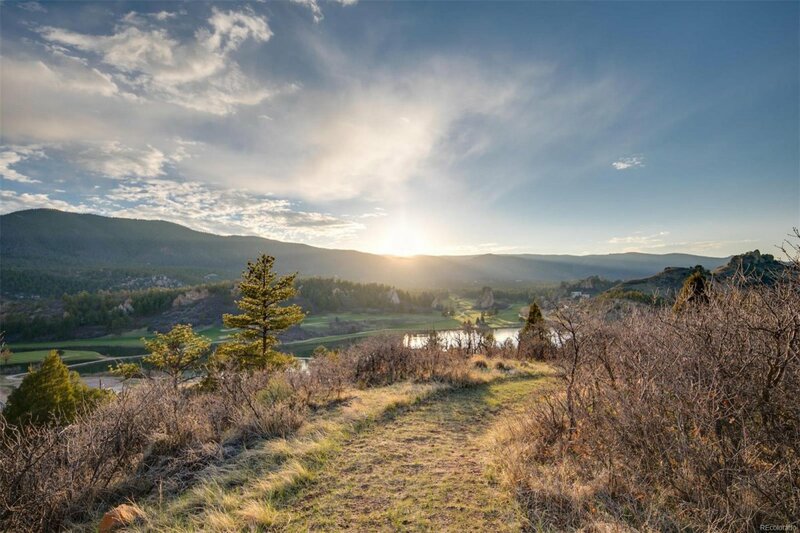 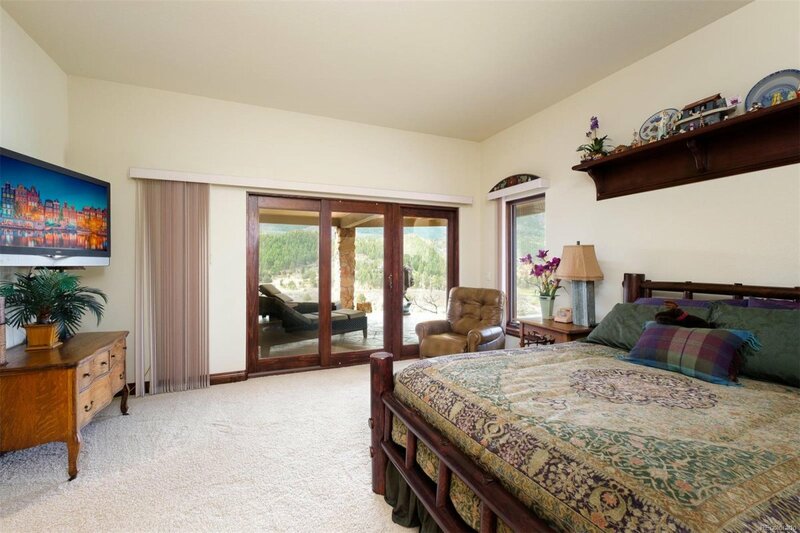 This property has it ALL--land, custom 6,420 SF home, Views, Views and Breathtaking Sunsets!!! 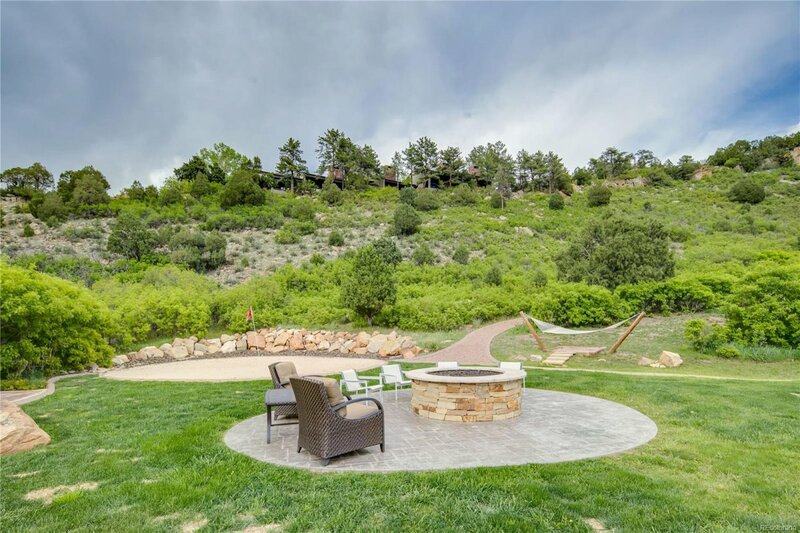 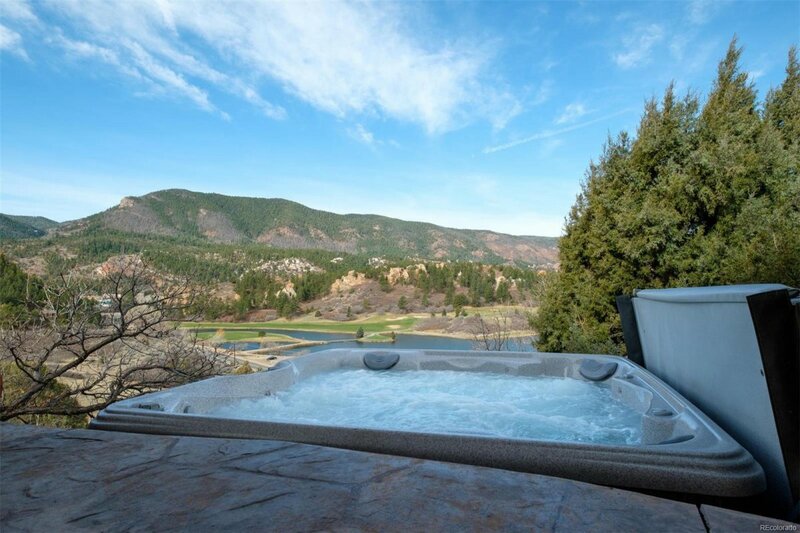 Breathtaking; Professionally landscaped with beautiful natural shrubs, trees and flowers; glowing fire pits; covered lower deck / patio with hot tub; golf, hiking, horseback riding and Country Club dining close by. 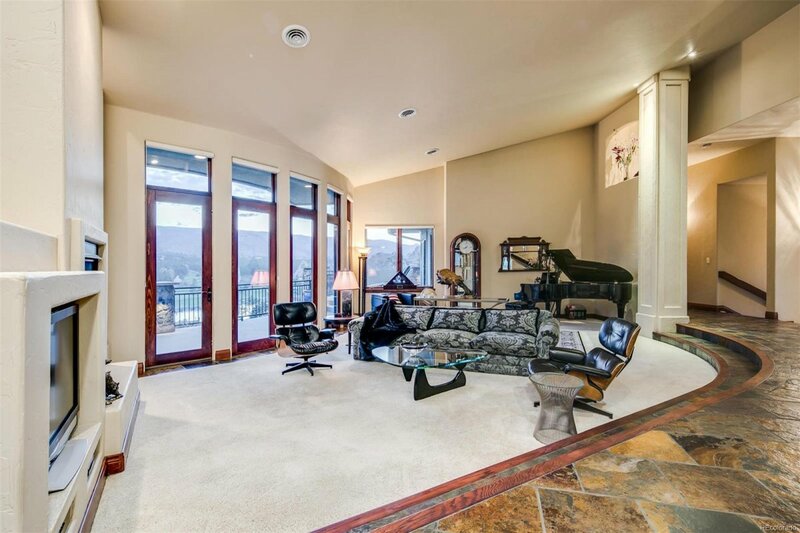 Expansive floor to ceiling windows throughout the main level; open living / entertainment area adjacent to massive view deck. 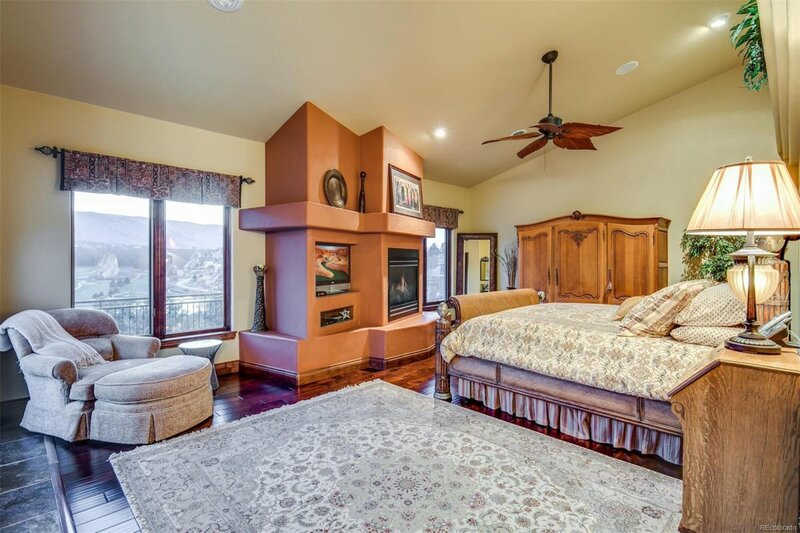 Main floor: great room, gourmet kitchen and informal dining area, formal dining room, and guest en-suite (currently used as an office), master bedroom suite with sunset views, 4 fireplaces, slate and carpet flooring. 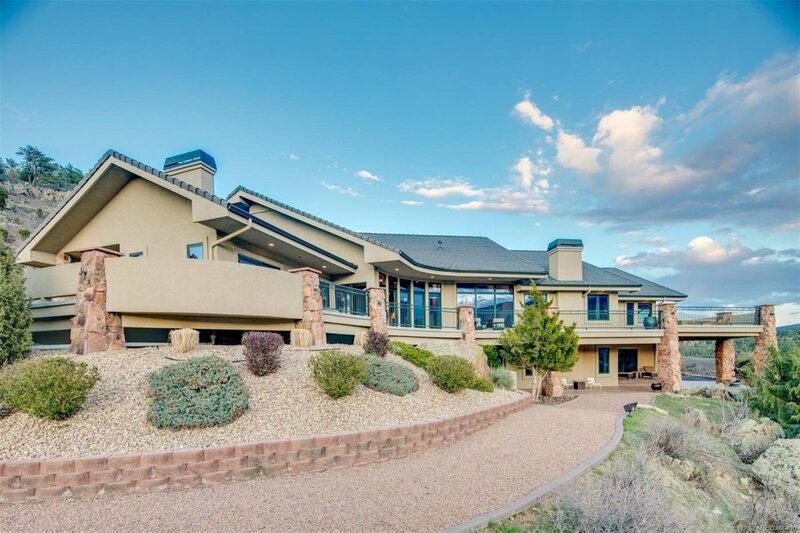 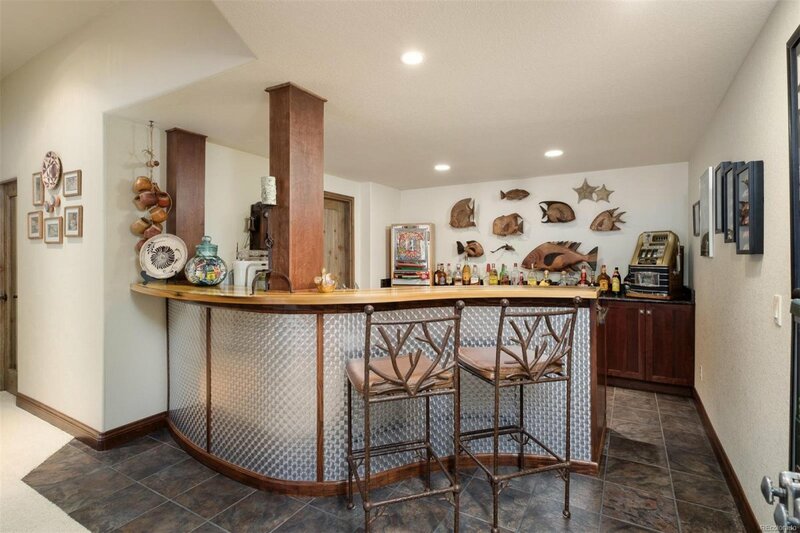 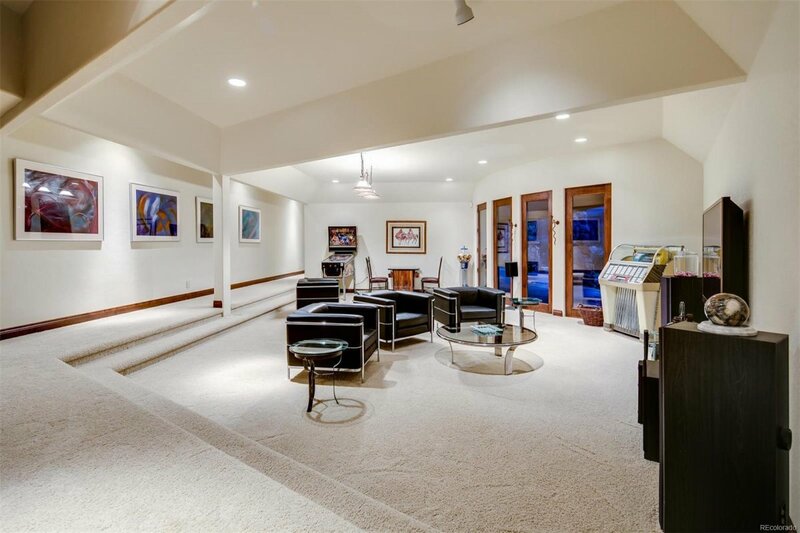 Lower Level: 3 bedrooms (1 being used as an exercise room), rec room with wet bar and adjoining wine room, walk out to covered patio, hot tub and fire pit.